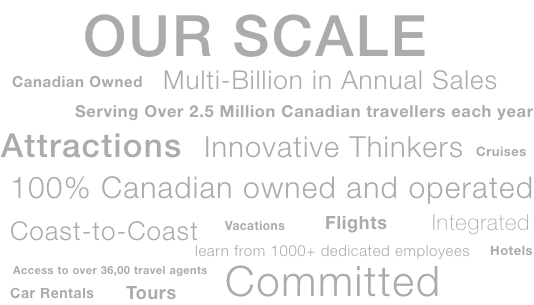 Headquartered in Mississauga, Ont., TravelBrands is one of Canada’s leading travel groups. Its multi-channel distribution network is comprised of multiple brands and subsidiaries. Canada’s top names in travel. TravelBrands is comprised of both specialized tour operator wholesale brands and unique retail brands. Giving millions of Canadian consumers access to the world, TravelBrands is the most comprehensive one-stop-shop in the travel industry. Working closely with the travel agent community and global partners, TravelBrands strives to offer Canadian travel agents and travellers innovative solutions to fulfill travel wants and needs. The most advanced travel reservations platform. 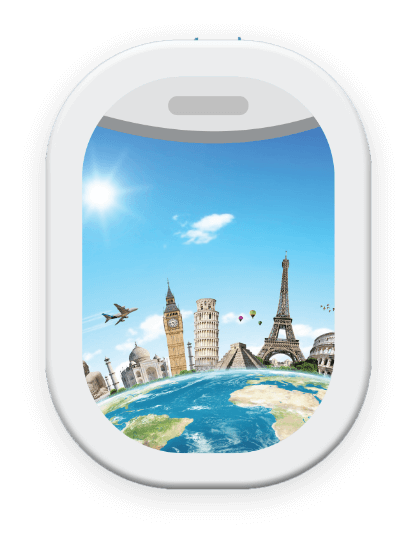 TravelGenie offers the capability to build custom packages to worldwide destinations. TravelBrands offers over 60,000 hotels to choose from worldwide. Experts in the airline consolidation business, TravelBrands brings expertise, choice and value. We offer a range of customized packages based on clients' needs. TravelBrands is partnered with the top car rental companies across the globe. Get from point A to point B while in destination seamlessly. We offer a vast array of tours based on any traveller’s interests. TravelBrands provides tickets for tourist attractions all over the globe. TravelBrands has close partnerships with almost all of the major cruise lines. TravelBrands features specialized travel with diverse experiences. Learn what Access can do for your business. I enjoy selling TravelBrands for their great support and customer service. You can call or email support any time of day or night and get a response 365 days a year, 24/7! I love working with TravelBrands as they offer a level of support unmatched by other tour operators. I always book TravelBrands with confidence and am extremely grateful for the support that TravelBrands offers us agents. I enjoy working with TravelBrands as they have very prompt agents who always provide a solution. TravelBrands will always go the extra mile for the agent. Learn more about our TravelBrands Annual Charity Golf Classic. TravelBrands offers travellers the world – however they may want to experience it. To offer Canadian travel agents and travellers innovative solutions to fulfill all travel needs. To revolutionize how the Canadian travel industry plans and books travel. We provide the utmost in-travel service to clients through our “We’ve Got Your Back” service.